A custom website design (or redesign) isn’t always the right choice for every entrepreneur or business. Sometimes you (or your business!) just aren’t ready for that. Maybe you are just starting out with your business and don’t have a good feel yet for your business’s branding… or you don’t have the budget for a custom-designed website. That’s OK! You can still SHINE ONLINE and attract new clients and customers through your website. There are thousands of pre-made WordPress design templates, called “themes”, that you can use to create a beautiful website. But with so many theme choices available, it can get really overwhelming… really quickly. 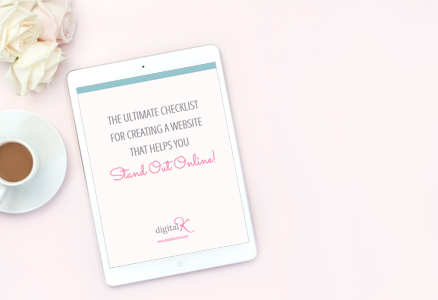 So that’s why I created this blog post – and my downloadable checklist – to help you out. 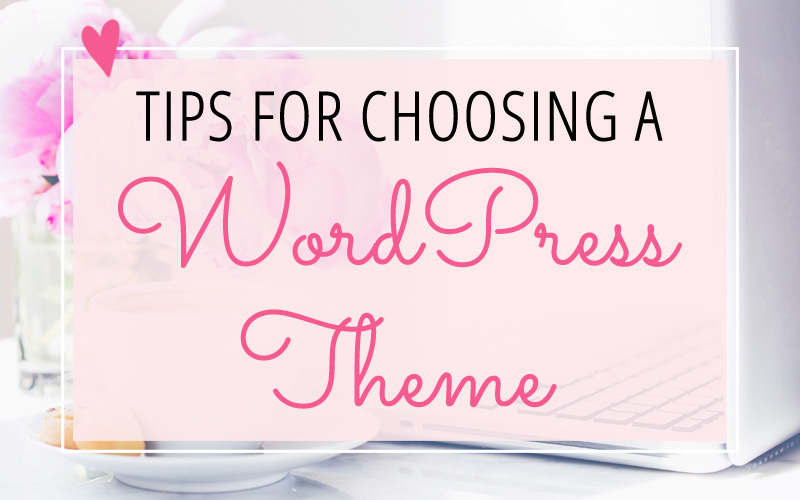 Here are some tips and recommendations for choosing a WordPress theme. Make sure your theme is responsive. You want your theme to look good on all devices: phones, tablets and desktops. Responsive themes stretch, shrink, and sometimes change layouts — depending on the viewer’s screen size. This ensures that your website visitors can easily view your website no matter what screen size they’re using to look at it. And as an added bonus: Google ranks mobile-friendly websites higher in their search rankings. Choose a theme with your design and layout preferences in mind. Are you looking for a website that is modern with lots of white space? What type of overall “vibe” do you want your website to have? What type of design would “wow” your clients and customers? How many columns do you want on your page? Do you want your content to take up the full width of screens – or do you want it to have a fixed, smaller width (with a margin on the left and right sides of the screen)? Look for a theme that matches your industry. If you can find a theme that was created specifically for your industry, you’ll probably find that it includes plenty of features and design elements that you’re looking for. For example, a coffee shop might look for a restaurant theme because it includes functionality that uniquely displays their menu or their Special of the Day. Depending on your business, you may not be able to find a theme that was made specifically for your business. So you might need to get a little creative and think about the features and functionality that would be a great fit for your business. For example, if you’re a fashion blogger and can’t find a theme you like that is specifically related to fashion: try to find a theme that has a modern design with an emphasis on photos – and that has a great blog post layout. 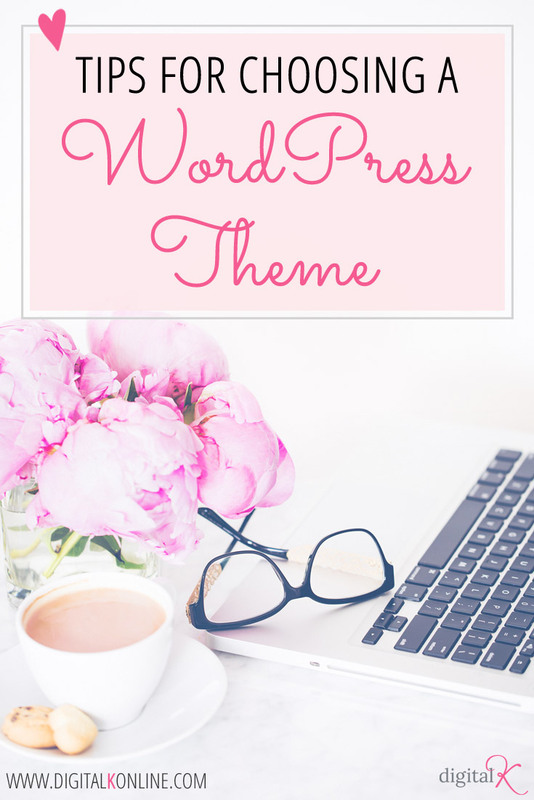 Look for a theme that works well with your content. Before you choose your theme, it’s a good idea to have a solid handle on your website content. You don’t necessarily have to write it all out for each web page before you choose your theme. But you’ll at least want to have an outline of the content that you’re going to include. Then make sure you take note of any special ways you want to present that content. For example, if you are a photographer you’ll probably want to choose a theme that has a nice portfolio or photo gallery. And if you plan to sell products online, you may want to look at themes that include a shopping cart. If your goal is to grow your email list, look for a theme that includes multiple opt-in sections throughout the website. If your goal is to increase product sales, look for a theme that has product pages that really highlight the photos and features of your products. If your goal is to grow your YouTube channel, look for a theme that includes features that highlight your videos. List out your top 1-3 goals for your website – and keep them in mind as you look for your theme. Know who you’re doing business with. Always use a theme from a company that you trust – or that is recommended by someone you trust. You don’t want to go through the time and effort of creating a brand new website, only to find out two months from now that your theme provider is no longer in business (and therefore no longer providing support or updates). Do your research first. Read reviews on wordpress.org (for free themes) and/or on the theme developer’s website. Read reviews on other websites. Purchase a theme from a company that you’ve used before (and are happy with). Ask for theme recommendations from people you trust. Does the theme developer have a support forum where they provide help? If so – how helpful and timely are their responses? Does the developer update their theme frequently, with new features and bug/security fixes? For how long do you get access to support and updates? Do you have to renew it each year? If so, how much does that cost? 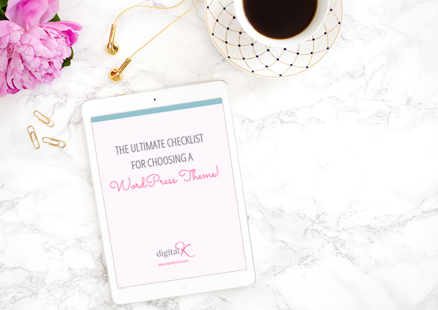 Download my Ultimate Checklist for Choosing a WordPress Theme! It may seem overwhelming when you start to think about #allthethings that go into not only choosing a theme – but also how to install it, get it all setup, add your content and images, and more. That’s why I created a website package that helps you with this entire process: No Mess – No Stress! Website Setup. You can get a WordPress theme installed and your website setup without the stress and mess of DIY-ing your website! Thank You For This Guide About Tips For Choosing A suitable WordPress Theme.Really Like This Post.